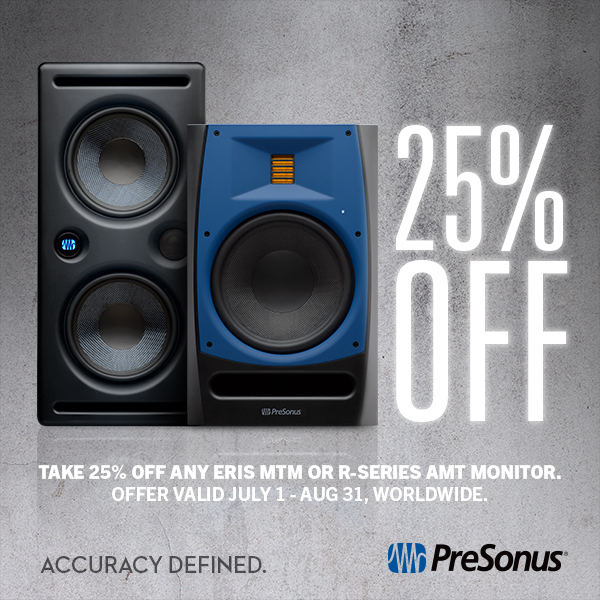 Save 25% on Eris MTM-Series Monitors NOW through October 31, 2017! New month, new promo deals! 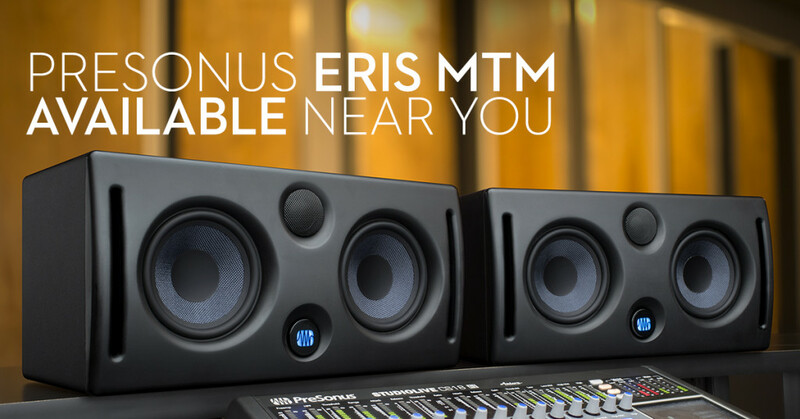 The Eris MTM Monitors have a discount price right now—no rebate form or paperwork required, just less cash at the register! The Eris E66 and E44 are 25% off NOW until October 31, 2017! In case you were wondering, MTM stands for Mid-Tweeter-Mid and describes the physical layout of the E44 and E66 drivers—twin mid-range drivers (actually bass/mid drivers) located on either side of a high-frequency driver. 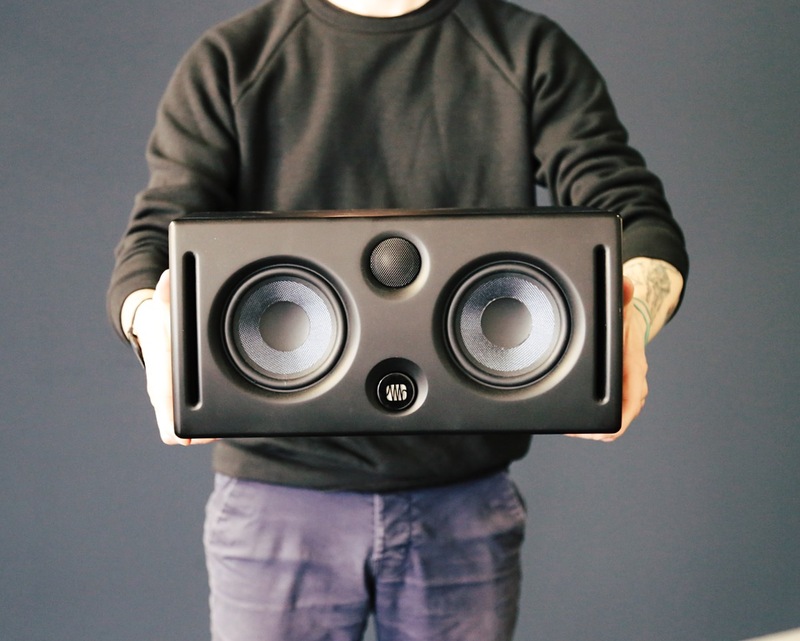 Read more about the monitors from our friends at Sound on Sound here! PROS: Perfect sound in vertical or horizontal placement, tunable to room space, excellent frequency range. This offer is available worldwide and ends October 31, 2017 so hurry up! We can’t wait to get this deal in your hands. 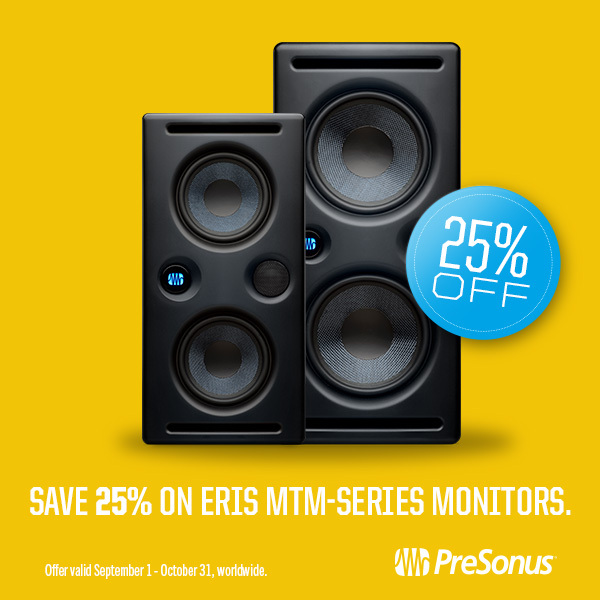 Comments Off on Save 25% on Eris MTM-Series Monitors NOW through October 31, 2017! Get Ceres Bluetooth Speakers in May 2016, get Studio One Artist Free! 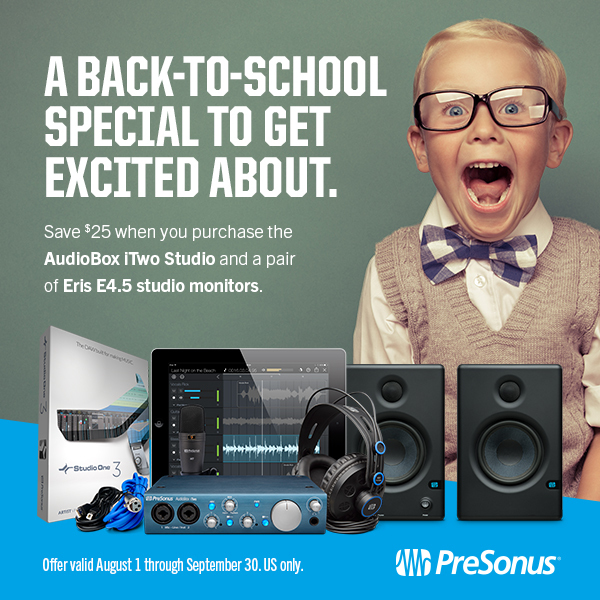 For a limited time, we’ll give you a copy of Studio One Artist—a $99 value—with purchase of the PreSonus Ceres 3.5BT or 4.5BT speakers! This is an ideal combo if you or someone you know is interested in getting started in music production. Good speakers are a must for audio work, and Studio One 3 Artist offers one of the most intuitive music production experiences available. The Ceres are versatile, powerful speakers for their size, and are ideal for working at the computer or as desktop speakers in the living room, bedroom or den. 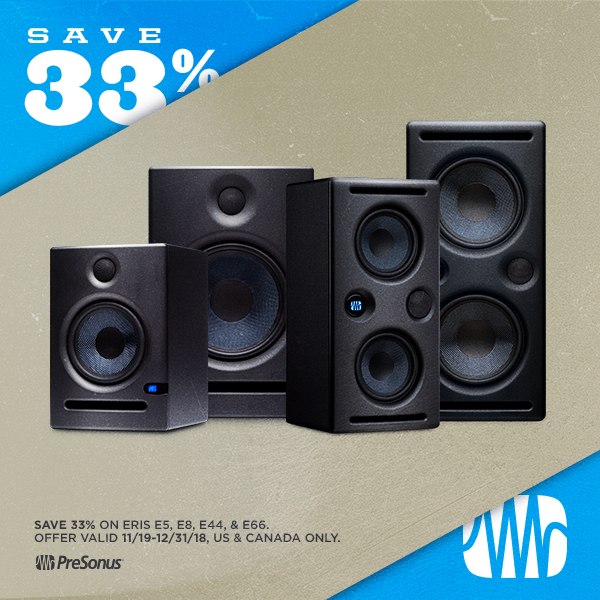 They offer a wide variety of physical audio inputs in addition to a wireless Bluetooth connection, allowing you to amplify nearly any audio signal you can imagine in true PreSonus quality. Interested but not sure if Studio One is right for you? Click here to learn more about why Studio One is the fastest-growing Digital Audio Workstation on the planet. 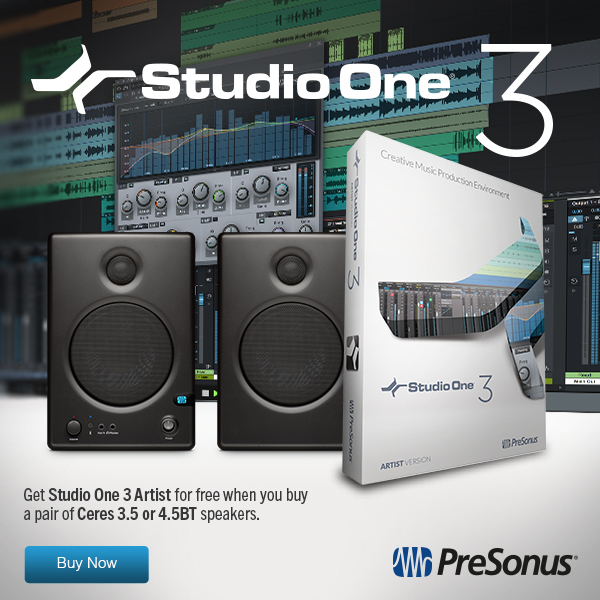 All you need to do is register your Ceres at my.presonus.com and Studio One Artist will appear in your account. Comments Off on Get Ceres Bluetooth Speakers in May 2016, get Studio One Artist Free! 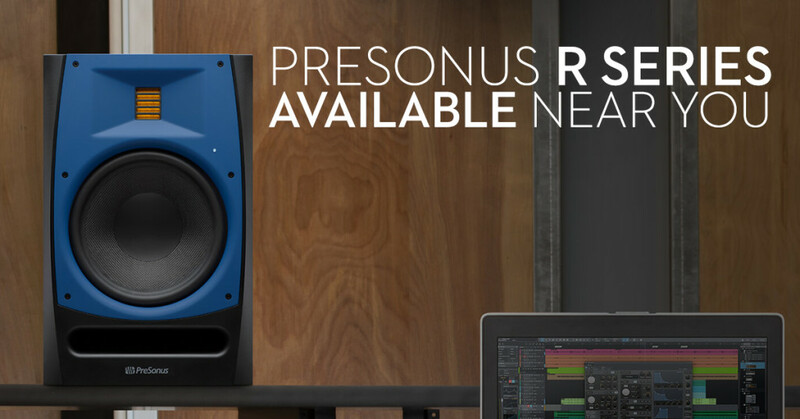 PreSonus R Series Monitors and Eris MTMs have Arrived in Select Stores in the USA! Sure, we can talk all day about how great the R-series monitors and Eris MTMs are. Heck, we can even link to reviews and let OTHER people tell you how great they are. And we do. But the fact is, when you’re going to spend some money on some serious monitors, you really owe it to yourself—and especially to your clients—to hear the darn things first to believe them and know what you’re getting. That’s not something any YouTube review can do for you. You just gotta leave the house. Fortunately, the R-series and Eris MTM monitors have begun to arrive in select dealers’ inventories, and you can head on over to any of the shops listed below and give them a listen. If your neighborhood isn’t on the list, that’s OK. 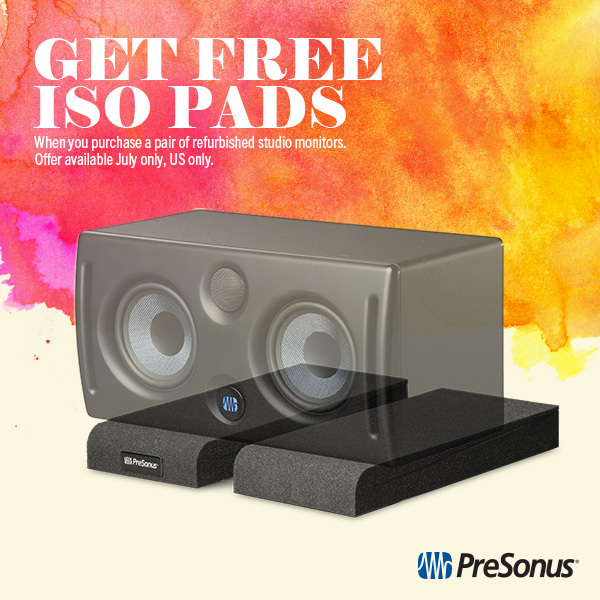 Contact us at sales@presonus.com and we will set up a demo near you. 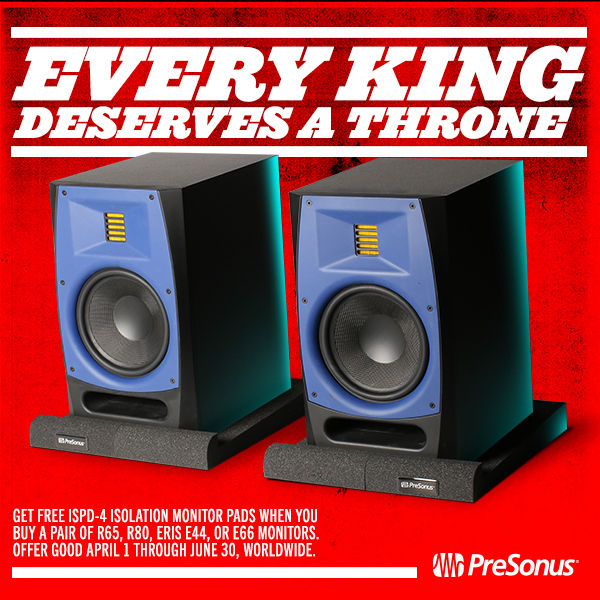 Comments Off on PreSonus R Series Monitors and Eris MTMs have Arrived in Select Stores in the USA!